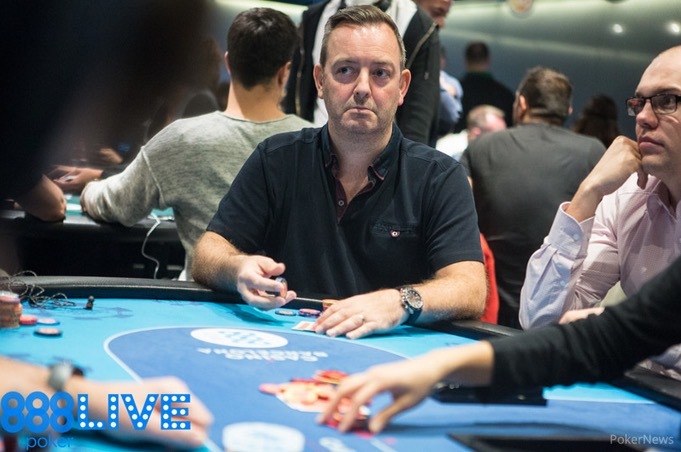 MainEventTravel CEO Fraser MacIntyre is currently fourth in chips after bagging up 426,000 at the end of Day 1 of the 888Live Make It Big Festival €2,200 High Roller. MainEventTravel is 888Live’s Official Travel Partner for the Make It Big Festival offering great hotel deals in Barcelona. Still plenty of time to get out to the 888Live Make It Big Festival; the €500,000 guaranteed Main Event starts today 6 pm, Day 1b is tomorrow. Spanish player Sergi Escote is leading the 31 survivors in the High Roller after the event attracted a guarantee-busting 65 entries. He ended Day 1 with 811,000. WPT champion Ema Zajmovic, who bust Will Kassouf en route to bagging up 238,500, described Escote as "The Terminator”. She said: “He busted like eight players on this table"; his victims included Finnish legend Patrik Antonius. Among the 31 players through to Day 2 are second-placed Peter Jaksland (475,500) and Aleksei Istomin (441,000). Others still in include MacIntyre's fellow Scotsman Gordon Huntly (405,000), 888Live Rozvadov Main Event champion Catalin Pop (353,000), 888poker ambassadors Bruno "Foster" Politano (114,500), Daragh Davey (158,000), Kimmo Kurko (95,500) and Aku Joentausta (70,500). All players that busted yesterday can still re-enter before the first card is dealt today at 5pm local time. The €500,000 guaranteed Main Event starts today 6 pm, Day 1b is tomorrow.